A partial look at the new uniform — which honor the Minnesota music legend who died in 2016 — was leaked on social media last week. The Timberwolves this morning sent out a news release for a “major business announcement” taking place Thursday at Paisley Park — Prince’s sprawling Chanhassen estate. While nothing has been officially confirmed by the team, I’m told the Wolves will be unveiling a new Prince-themed uniform to be worn on select occasions. The unveiling, which is not open to the public, is set for 10 a.m. Thursday. 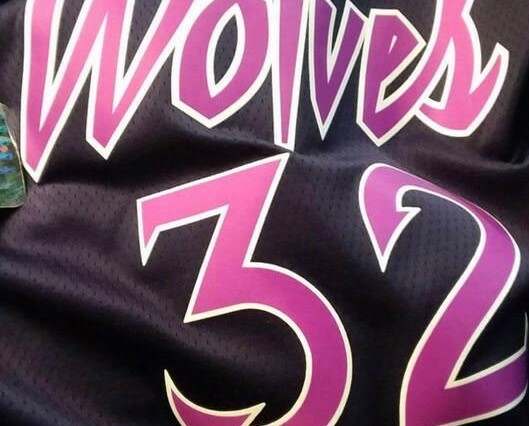 A partial look at the new uniform — which honor the Minnesota music legend who died in 2016 — was leaked on social media last week by a Wolves fan account in France. The jersey top includes a color and font that surely looks Prince-themed. Maybe there’s only room in this market for one team to honor Prince? This announcement comes not long after the Wild announced it was switching its goal song from “Let’s Go Crazy,” which it had used for the last two years, back to “Crowd Chant” by Joe Satriani.